See the Council of Agents in its meeting held in the building of the Secretariat of the Council of Ministers headed by the Chairman of the Board of Counselors d. Abdul Karim al-Faisal on a number of reports that were placed within his agenda, most notably on economic and food security. 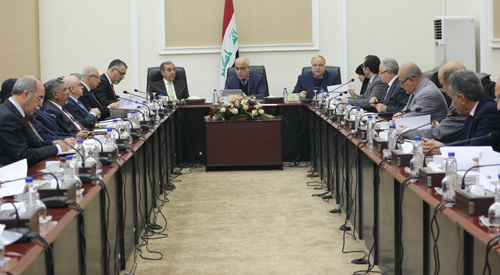 The Council discussed the details contained in the report submitted by one of the relevant authorities and took urgent measures to control the issues affecting food security in Iraq. They also recommended that the relevant sectors of ministries (agriculture, trade, water resources) take the necessary measures to provide foodstuffs And secure them in all respects.